We made this up last night and made six serves so we can have it for lunch today and tomorrow as well. 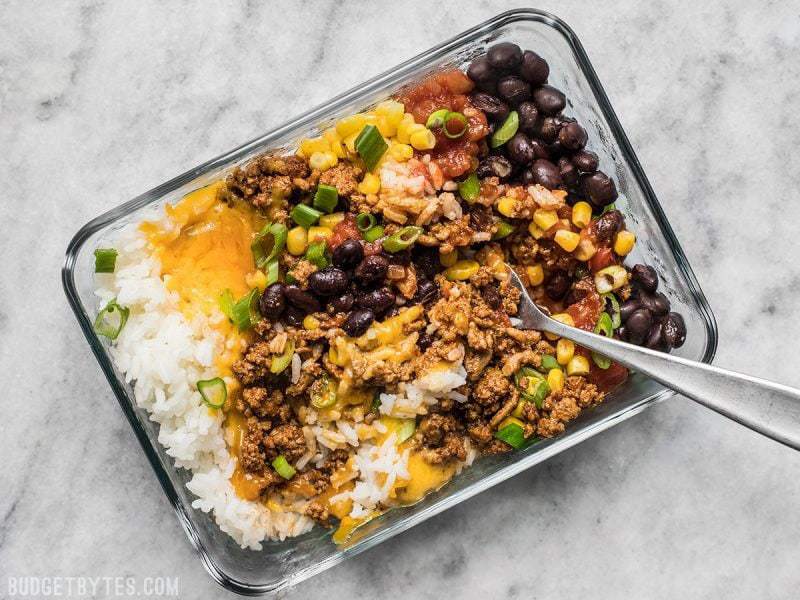 We did cauliflower “rice” to cut some carbs and calories, and bulked up the veg count by adding onions and tomatoes to the corn and black bean mix. It was super tasty and I’m already looking forward to having it for lunch! Idk if this was already asked or listed and I may be missing it, but what’s the calorie count for one bowl? I made this tonight and it’s definitely going in my rotation. As a grad student nearing the end of the semester and who also works, I’m more than relieved to have some solid meals ready to go in the fridge for the rest of the week. Toast and cold cereal only go so far. It took less than an hour from start to finish, and most of that was cooking the rice and meat. If I were to use parboiled rice and actually remember to take my meat out of the freezer in the morning, it probably would be much less time. Next time, I’ll probably add some jalapenos or something to give it some spice. All in all, another Budget Bytes winner for me. Thanks for sharing. This was lunch last week and I enjoyed it. These look yummy, easy and appealing. As a vegetarian I’d leave out the meat and perhaps add extra veggies. 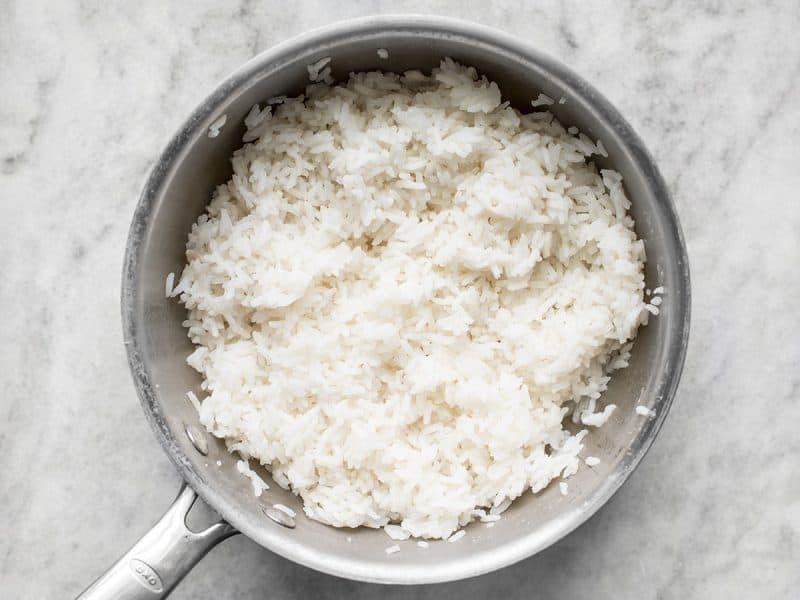 You should make your readers aware of the toxins that lurk in rice, and encourage them to put the bowls in the fridge quickly, even better in the freezer. Thanks for the recipe. Hey Mary, I am also vegetarian. You should try soyrizo if you can find it near you (they have it at Trader Joes). It tastes AMAZING. 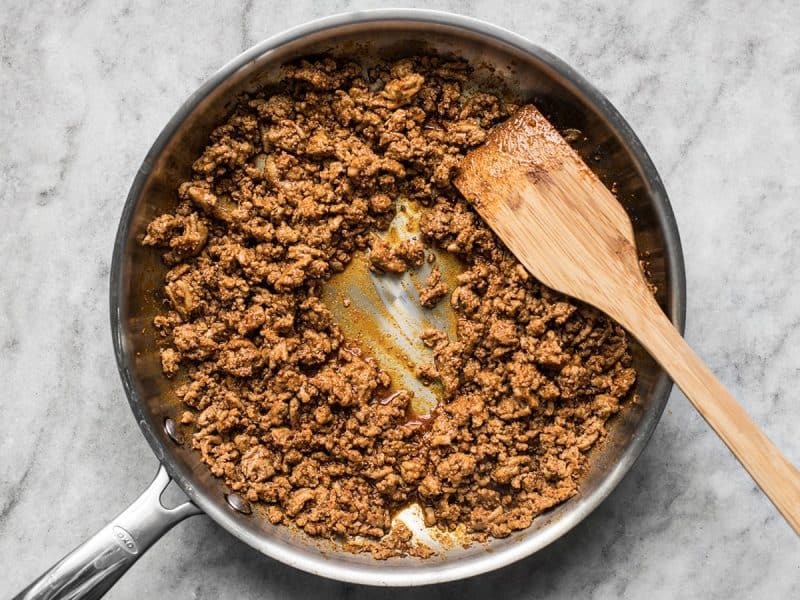 Alternatively, seasoned ground tofu chipotle style or even vegetarian “beef” crumbles. What’s the size/volume of the glass containers? Also, what brand are they? Thanks. Oops, I forgot to include that. They are the Pyrex 3-cup Glass Containers with Lids. I love the presentation in the photos; the horizontal layering makes it look really good! 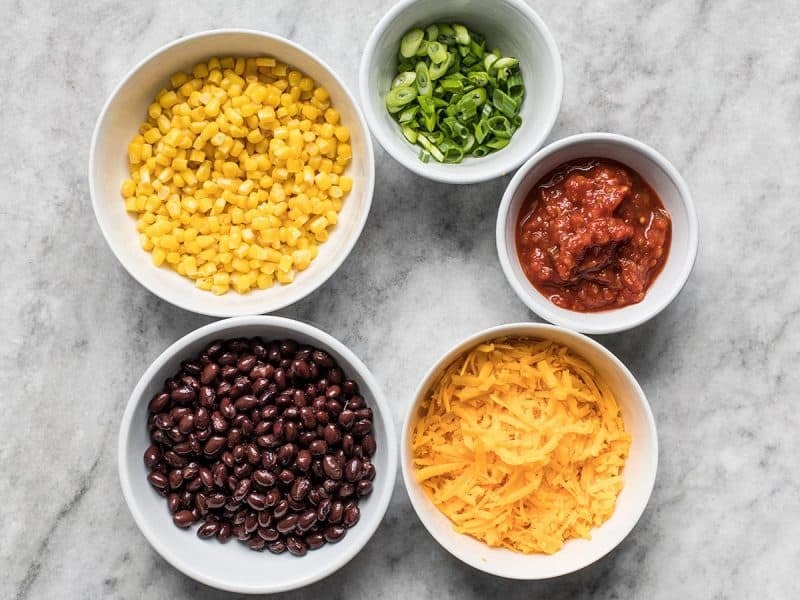 Minus the salsa and green onions, This would be something I’d happily make for the family… I don’t like salsa (but family does, and I’d do it for them, but not for mine)… And the onions seem like a froo froo thing to me. LOL. I might try it though. I would definitely give the green onions a shot. Green onions (in my opinion) are a really specific flavour that adds a lot to taco/burrito type dishes. Another tasty alternative to using a jarred salsa would be to add some pico de gallo. This looks delicious and I’m looking forward to making it! If I may ask: in the photos here, what storage containers are you using for each bowl? I love the mix of colors. 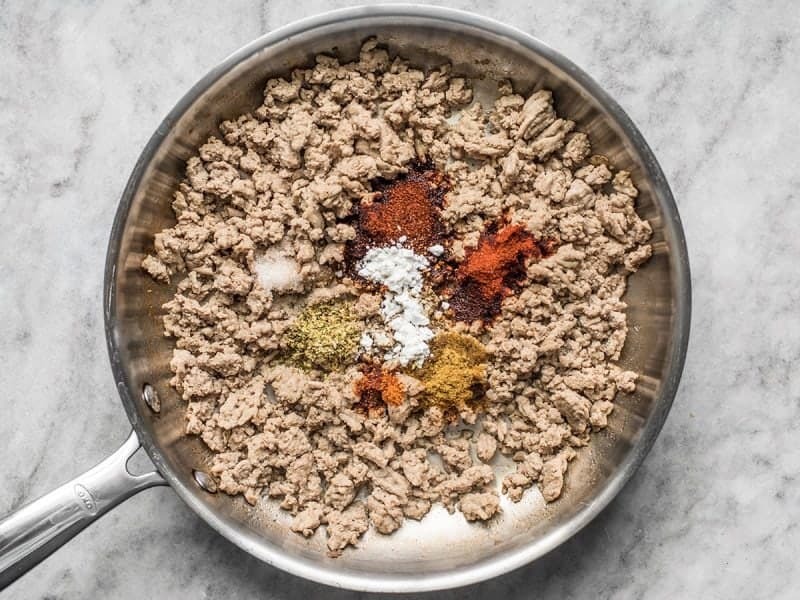 What would be a good substitute for the ground beef/turkey to bulk it up a bit and make it vegetarian? Personally, I am a big fan of Trader Joe’s Soyrizo. It has some good spice in it and it makes great leftovers (breakfast burritos, anyone?)! Forgot to add that I would be reluctant to add additional taco seasoning to it, though, as it has plenty of flavor on its own. Tempeh makes delicious taco “meat” thats pretty close to the texture of ground beef. I forget where I got the recipe from, but its basically break up the tempeh into small pieces and fry it with some onion, garlic, and taco seasoning. I was thinking of making lentils and adding taco seasoning to them and then mashing them up a little too for the texture. Ive made a taco salad that way and it was delicious! 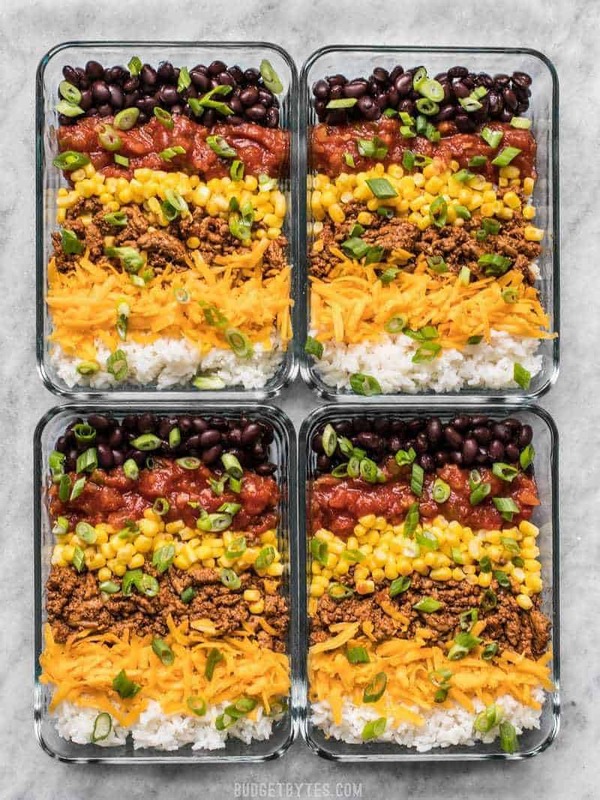 I made these last night for lunches this week! I didn’t have any salsa but I did have a can of diced tomatoes and a can of jalapenos, so I added those to the turkey as it was cooking. I also added 1/2 of an orange bell pepper. I only used half of the turkey mixture because it seemed like enough (I put the other half in the freezer for next week’s lunch). I took your add-on suggestion and brought along some romaine lettuce to go with it. Can’t wait for lunch time! 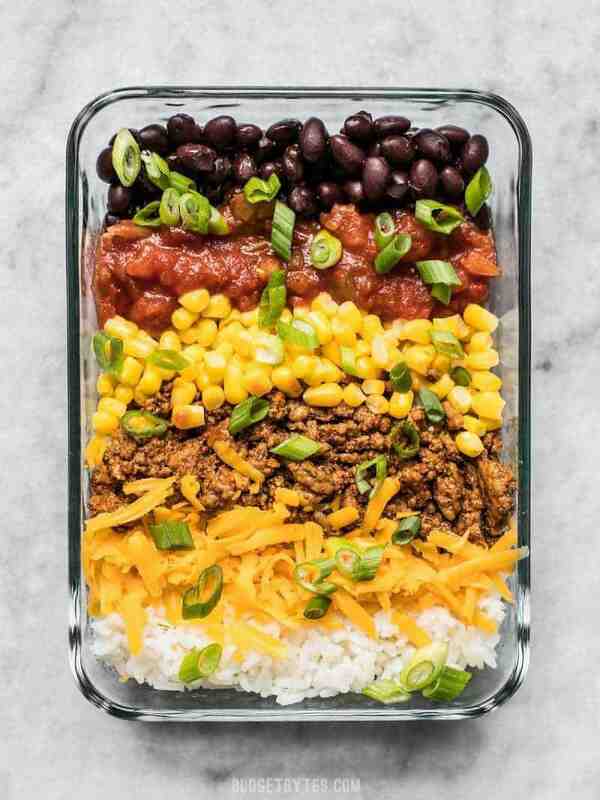 Looks delicious and simple! 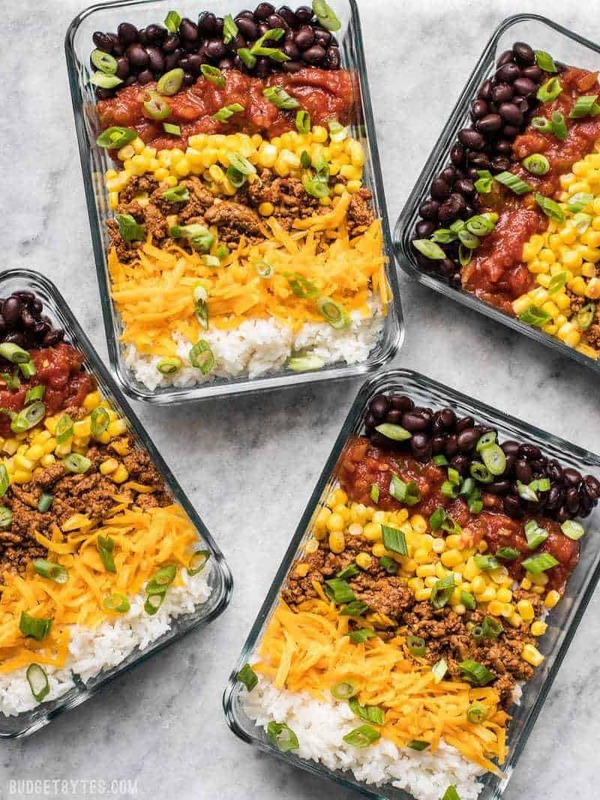 Do you think these burrito bowls would freeze well? If you’re going to freeze them, I wouldn’t thaw out the corn. Just use it frozen. Less chance of it becoming mushy and weird textured.